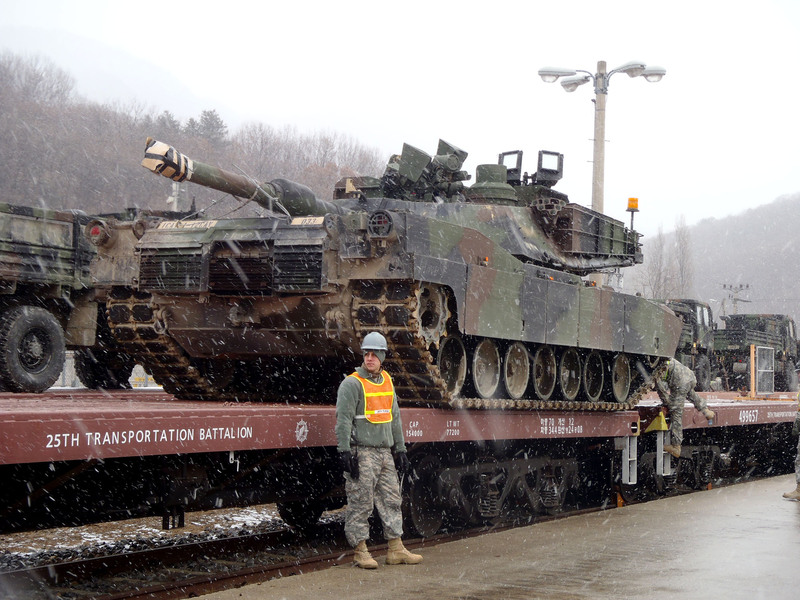 The U.S. Army recently deployed its first two rotational units to the Korean Theater of Operations. These deployments, in support of the U.S. defense commitment to the Republic of Korea (ROK) as specified by the mutual defense treaty and presidential agreements, increases theater readiness and strengthens the cooperation and capability between U.S. and ROK forces. Their operational readiness, and the readiness of warfighting units already on the peninsula, is paramount and is a major focus of logisticians throughout the theater as we focus on our ability to “fight tonight.” The 403rd Army Field Support Brigade (AFSB), a subordinate unit of the U.S. Army Materiel Command’s Army Sustainment Command, has played a key role in supporting rotational unit operations and providing commanders with the strategic depth and flexibility they need to be successful. 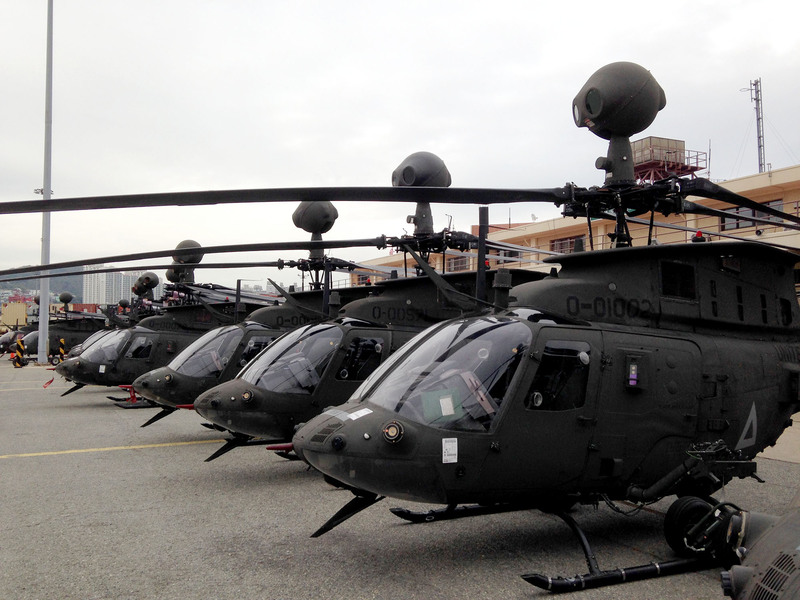 The 4th Attack Reconnaissance Squadron, 6th Cavalry Regiment (4-6 ARS) from Joint Base Lewis-McChord (JBLM) deployed with 380 Soldiers, 30 OH-58D Kiowa helicopters, and more than 190 pieces of supporting rolling stock and equipment in October-November 2013. They were soon followed by the 1st Battalion, 12th Cavalry Regiment from Fort Hood, which deployed with 821 Soldiers, 29 M1A2s, 29 M2A3s, 7 M3A3s, and more than 392 pieces of supporting rolling stock and equipment in January-February 2014. In both instances, the 403rd AFSB partnered with 8th Army, the 2nd Infantry Division (2ID), and the 19th Expeditionary Sustainment Command (ESC), to ensure that the full capabilities of the Materiel Enterprise were leveraged to support these efforts. 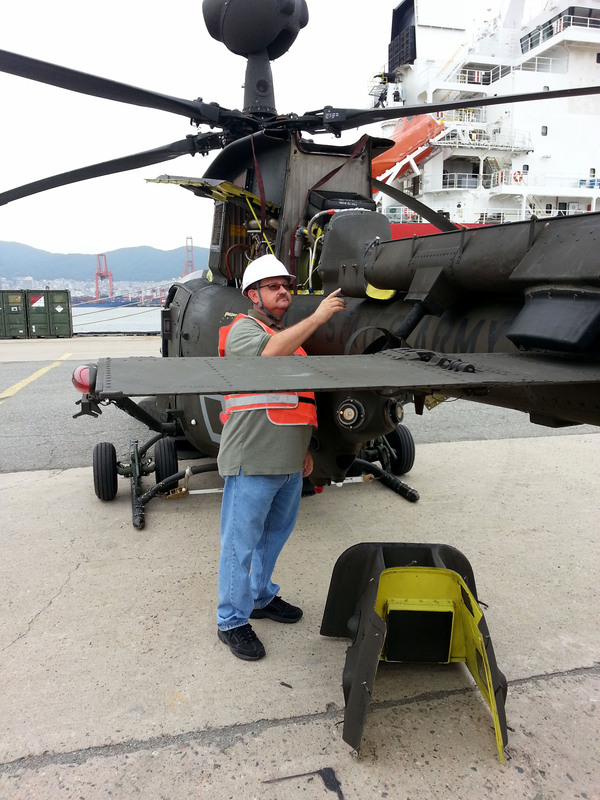 What follows are a few best practices gleaned for future rotational unit deployments. Cross talk between the AFSBs in the continental United States and the 403rd AFSB proved to be beneficial. As the 404th AFSB at JBLM and the 407th AFSB at Fort Hood “pitched” these units from their home-stations, the 403rd AFSB “caught” them when they arrived in the ROK. The AFSBs and their respective Army field support battalions (AFSBns), brigade logistics support teams (BLSTs) and logistics readiness centers (LRCs) regularly communicated and shared information on a range of topics, including operational readiness issues, movement timelines and concerns about individual Soldier equipment. The shared information helped shape expectations and focused logisticians in the KTO on where their attention was most needed. 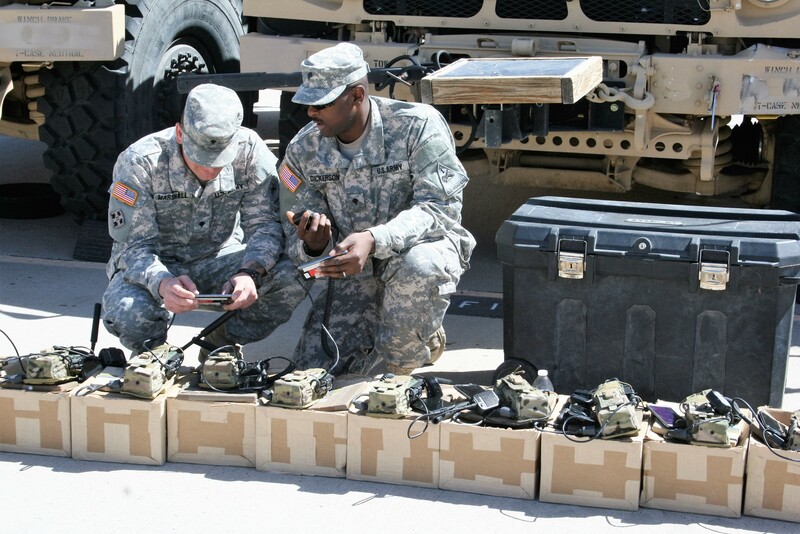 Moreover, command-level engagements via in-progress reviews, pre-deployment site surveys, after action reviews and direct, point-to-point communications provided deploying commanders with assurances that there would be no lapse in support from the Army Sustainment Command or the Army Materiel Command’s Materiel Enterprise. Reception, Staging and Onward Movement (RSO). AFSBn-Korea, the 403rd AFSB’s battalion that provides direct support to 2ID, supported the RSO of rotational unit equipment. 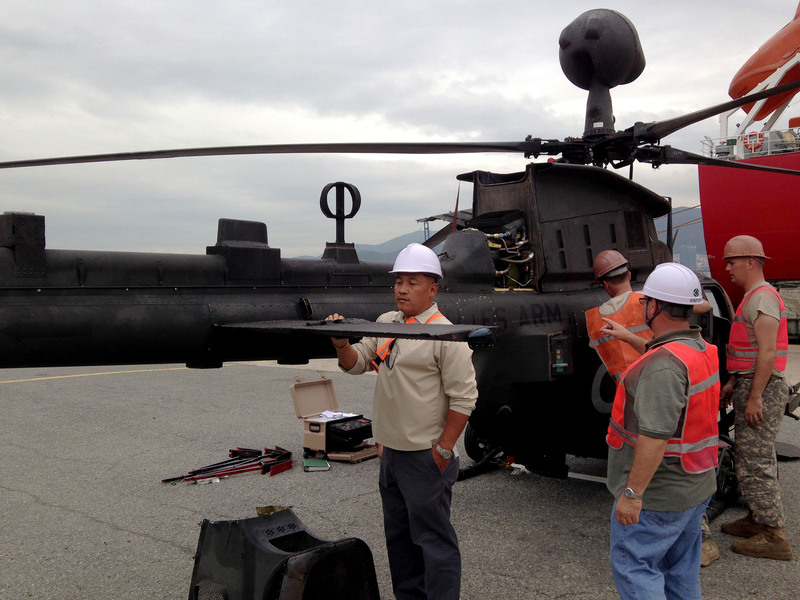 Members of the AFSBn-Korea’s BLSTs provided on-site technical expertise at Pier 8 at the Port of Busan as well as at unit deployment forward locations and railheads. They assisted with the download, reassembly and onward movement, facilitating the RSO process. One example of the broad range of assistance provide by the BLST was in dealing with the six M1A2s that were shipped with attached blade plows. 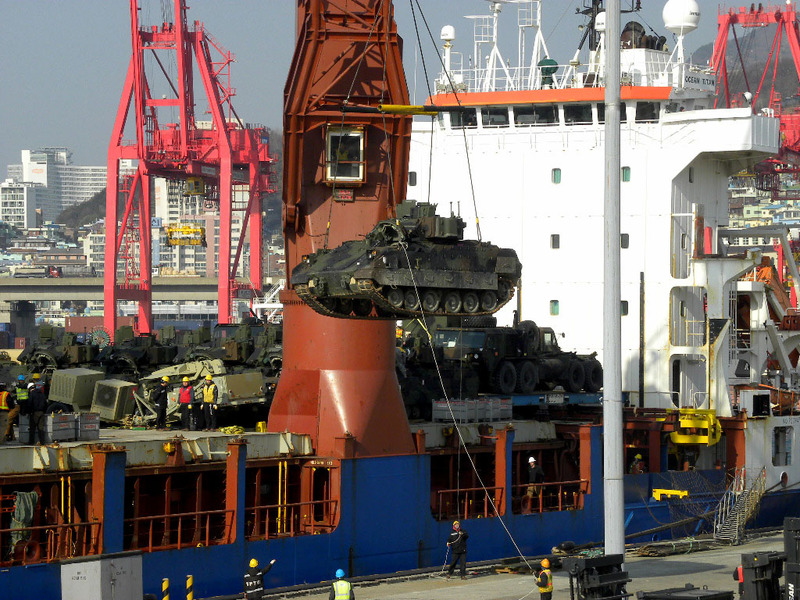 Charges to use Korean Rail transport included an additional $56,000 per M1A2 if the M1A2s were shipped in that configuration. With a little ingenuity and direction from the BLST chief, CW5 Jose Marrero, the blades were quickly (to meet movement timelines) and successfully removed, resulting in a real cost-avoidance savings of $336,000. Logistics Assistance Program (LAP) Support. With rotational unit equipment linked up with their operators, the 403rd AFSB centered its focus on unit-level operational readiness. AFSBn-Korea’s BLSTs quickly engaged unit leaders and maintainers, established close working relationships, and are now heavily engaged in support to rotational units without any degradation in support to their existing teammates. The 403rd AFSB’s and AFSBn-Korea’s LAP coverage precluded the requirement for these rotational units to deploy with logistics assistance representatives (LARs) from their home stations. Tailored Support. To further reinforce the capable Aviation and Missile Command skill sets already supporting the 2nd Combat Aviation Brigade, 4-6 ARS forward headquarters, the 403rd AFSB brought in and positioned a permanent OH-58D LAR to specifically support the unit’s Kiowa Warrior helicopters. An additional seven contracted field service representatives dedicated to supporting the 4-6 ARS were added to the team as well. Similarly, Tank-Automotive and Armaments Command will be positioning an Engineer LAR to meet this unit’s needs. The 403rd AFSB, in coordination with the senior command representatives and regional managers from its life cycle management commands, will continuously evaluate and tailor requirements to best support rotational units. Logistics Readiness Center (LRC) Support. The 403rd AFSB’s LRCs were instrumental in all aspects of supporting the incoming rotational units. LRC-Humphreys in Area III and LRC-Red Cloud in Area I have been flexible with their services and have significantly expanded support to rotational units. The LRCs have provided proactive pre-deployment training, certification and validation, including driver training, ammunition handler training and other training, to facilitate a speedy reception and allow units to reduce training distractions as they focus on their combat mission. This process began while rotational units were at home station with units focused on Korea-specific training and ending with forwarding of all documentation that could be completed prior to deployment. Advancing this documentation reduced integration time by two weeks and allowed units to focus on integration. In preparation for incoming units, the LRCs in multiple areas upgraded and reconfigured their dining facilities and staffing levels, embedded transportation management coordinators (Military Occupational Specialty 88N) with the Division G-4 and the 19th ESC’s 25th Transportation Battalion to keep a common operating picture of onward movement throughout RSO process, and focused on flexible support as the rotational units arrived in echelon. The 403rd AFSB increased its non-tactical vehicle fleet, expanded tailored bus support, and provided extensive assistance with Solider readiness matters, including issuing the Fire Resistant Environment Ensemble to aviators providing cold weather boots and ensuring that rotational Soldiers had the Enhanced Small Arms Protective Insert plates and other kit needed for their mission. The deployment of these the first two rotational units to the KTO are a part of the United States’ enduring rebalancing efforts in the Asia-Pacific region. These rotational units add combat power and improve theater readiness, provide the capability for greater responsiveness to meet theater operational requirements, and are critical elements during times of armistice and during any potential contingency operations. Logisticians on the peninsula from all units played a critical role in supporting these tremendous enablers and the 403rd AFSB’s role in sustaining the consistent readiness of rotational units in the ROK is indispensable. Lt. Col. Frazariel I. Castro is the commander of Army Field Support Battalion-Korea. He holds a B.A. in politics from the University of San Francisco and an M.A. in management and leadership from Webster University. Contact info:frazariel.i.castro.mil@mail.mil, DSN 315-730-6821, Commercial 011-82-31-869-6821; mailing address: Army Field Support Battalion – Korea, Unit 15541, APO AP 96224.